This is a nice, relaxing activity at the end of the year or one afternoon in the summer camp. You can reinforce any vocabulary with it as before children start to paint you can choose any topic they have to think then paint about. 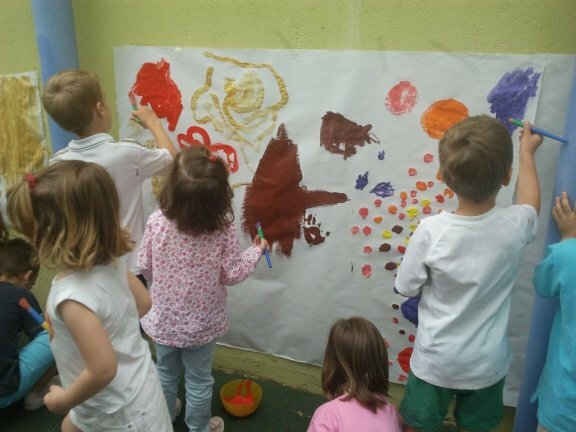 After the activity young learners show each other what they have painted and talk about it. So it's a joyful speaking activity with any age and any topic.